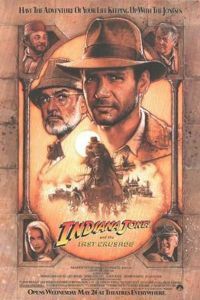 Indiana Jones and the Last Crusade atones for the much darker direction of Indiana Jones and the Temple of Doom, as director Steven Spielberg - together with series creator George Lucas and star Harrison Ford - bring back crusading archaeologist Dr. Indiana Jones in a new adventure that returns to the high spirited tone of Raiders of the Lost Ark. The plot begins with the disappearance of Indiana Jones’ father, Dr. Henry Jones (Sean Connery) -an authority on the mystery of the Holy Grail- who was hired by millionaire collector Walter Donovan (Julian Glover) to locate the Grail. Kidnapped by the Nazi’s who want the Grail for themselves, Dr. Henry Jones sends a message that he is in trouble to his son Indiana in the form of his cherished diary, that features every crucial piece of information about the Grail he has accumulated over the decades. Locating his fathers whereabouts, Indiana –along with bumbling museum curator Dr. Marcus Brody (Denholm Elliot) and the beautiful Dr. Elsa Schneider (Alison Doody) – come to the rescue only to find themselves in the middle of a trap, as both Donovan and Dr. Schneider reveal that they are in cahoots with the Nazi’s. Escaping from their evil clutches, Indiana and Henry Jones must reclaim Henry’s diary and locate the Grail before the Nazi’s do while also mending their estranged relationship. An extremely fun watch, Indiana Jones and the Last Crusade features much more comedy than the previous two instalments, but also has plenty of well choreographed action sequences. 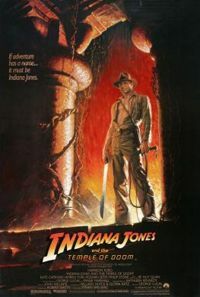 The film’s opening scene is a real hoot, as the viewer is introduced to a young Indiana Jones (played by River Phoenix) in his first big adventure, revealing the origins behind his fear of snakes, the love of the fedora hat and the use of the bullwhip. A fight scene on a German tank between the present Indiana Jones and a group of Nazi’s is another highlight. 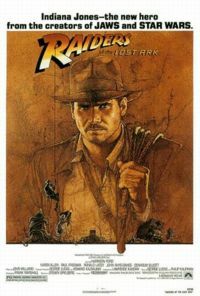 While it contains many of the elements found in Raiders of the Lost Ark – most notably a mysterious relic of biblical proportions, the use of Nazi’s as villains, and the return of Denholm Elliot and John Rhys-Davies – Indiana Jones and the Last Crusade is by no means a carbon copy. What separates Indiana Jones and the Last Crusade from the other Indiana Jones movies, is the strength of its supporting cast. In what only can be described as a fitting choice in having the essential James Bond play Indiana Jones’ domineering father, Sean Connery gives an excellent and often funny performance. The father son dynamic between Harrison Ford and Connery is very strong, and it was a riot watching the two squabble back and forth. 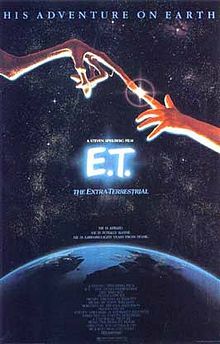 Equally enjoyable was River Phoenix’s performance. Not since Robert De Niro’s performance in The Godfather Part II has an actor been able to duplicate another actor’s distinguishable attributes, without resulting in a full blown improvisation. It is an extremely impressive performance that left a lasting impression.